I have written to proudly announce that I have sold yet another residence at Palace Place by having just sold Suite 2712 by having represented the seller. While 12 suites have been selling for between $350,000 and $370,000, Suite 2712 had a lease that needed to be assumed, expiring in 2019. 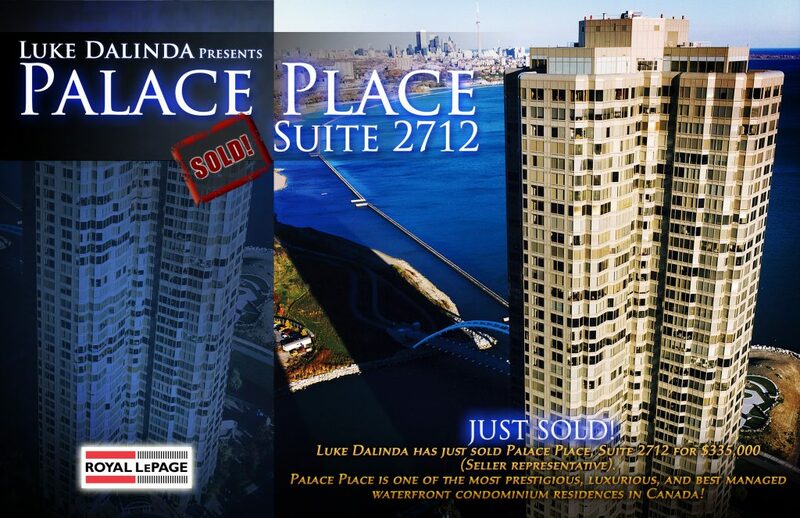 This entry was posted in Palace Place Report, Palace Place Sales, Uncategorized and tagged 1 Palace Pier Court, 1 Palace Pier Court Suite 2712, Humber Bay Shores, Humber Bay Shores Condos, Luke Dalinda, Palace Pier, Palace Place, Palace Place 1 bedroom, Palace Place 12, Palace Place condos for sale, palace place floor plans, palace place floorplans, Palace Place Investment Opportunity, Palace Place Suite 2712, Palace Place Toronto, PalacePier, PalacePlace, palaceplace.com by ldalinda. Bookmark the permalink.